Our in-house workshop can make you a new chainsaw chain or sharpen your old chain while you wait. We appreciate the inconvenience of having a blunt saw chain when you have that all important job to do, so we will have you up & cutting in no time ! We make chains up off rolls, so whatever the length & pitch of the chain it's not a problem ! 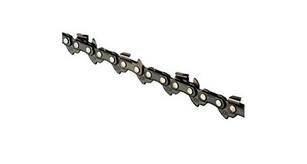 We use the best quality Stihl chain therefore optimising your saws performance. We also sharpen all other types of garden machinery so why not give us a call to see how we can help.